Just before the Easter holidays, our GIScience/HeiGIT team hosted Dr. Nama Raj Budhathoki, Executive Director of Kathmandu Living Labs (KLL), to take our existing collaboration to the next level. KLL and GIScience/HeiGIT have collaborated in various projects in the last few years. 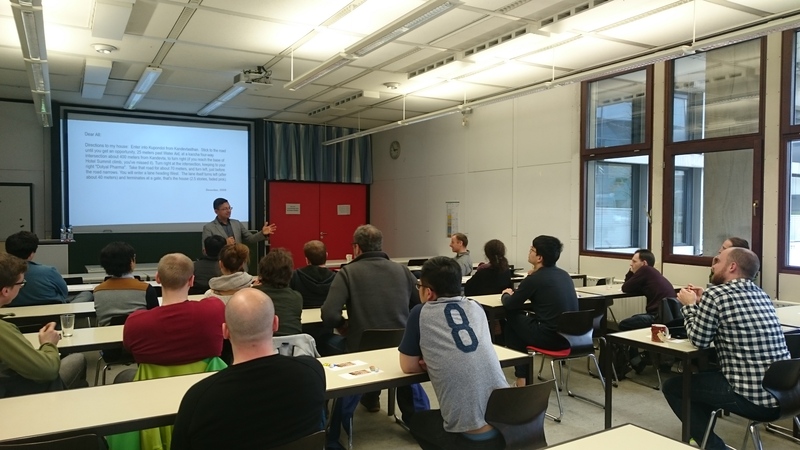 GIScience/HeiGIT have contributed to OSM data of Nepal through mapathons in Heidelberg. 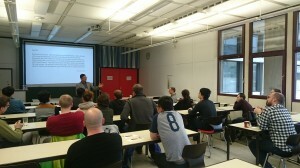 Relevant contents related to KLL have also been integrated into university courses in Heidelberg. KLL have also shared their experiences regularly with Heidelberg University students through webinars. In addition, KLL has also hosted student interns from Heidelberg University. Last autumn, this collaboration was strengthened through a Memorandum of Understanding. This reinforced partnership has led to the extension of the OpenRouteService for disaster management and a joint effort on an OSM analytics dashboard to support the use, and understand the progress in OpenStreetMap (OSM) in Nepal and beyond. Both applications advance towards achieving the main objective of this collaboration - to address the existing science-to-society gap by enabling effective use of OSM and other Volunteered Geographic Information (VGI) data. On the one hand, during Nama’s stay, members of the HeiGIT team had a chance to discuss potential ways to translate cutting-edge scientific work in VGI into implementation in order to better connect data, technology and people. On the other hand, Nama also had the opportunity to meet the HeiGIT team members and to get direct insights into the HeiGIT services and applications. Elaborate exchanges in group meetings and on the Philosophers’ Walk and beyond enabled a broadened understanding of the different approaches of the teams. KLL’s experience on the ground is helpful to design and develop applications and services to increase impacts of their tools and services on the lives of people. The colloquium presentation furthermore enabled a wider audience to learn about KLL and the team’s background, their current and previous projects related to OSM, disaster management and development, and their future plans. Follow-up discussions are currently taking place to plan steps ahead for continuing the momentum gained by the partnership and to put ideas into practice towards reducing the science-to-society gap.